It is desirable to aerate and dry seed and pellets quickly. 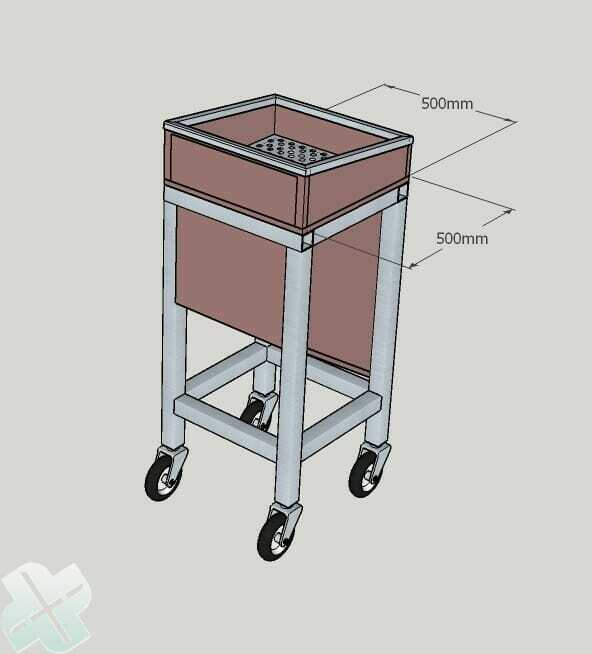 Therefore, small amounts can be collected in the bins and can be brought quickly to the drying installation. 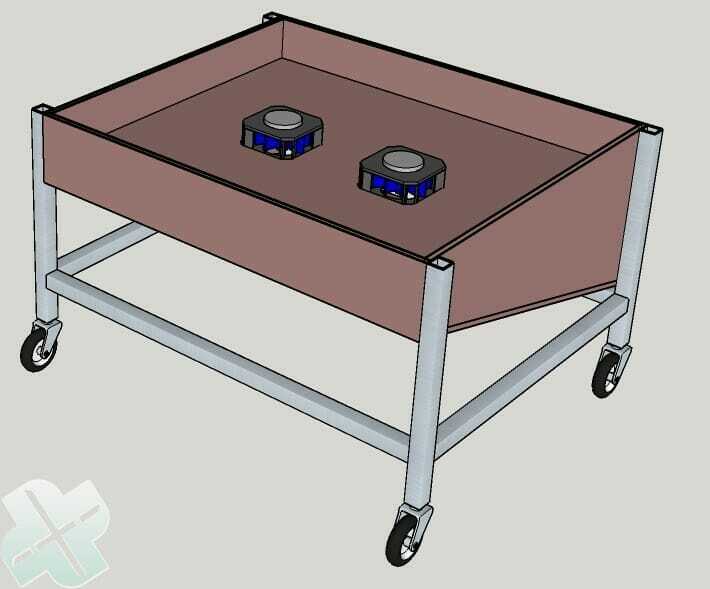 Agratechniek offers the possibility to ventilate immediately and dry thereafter, either with or without dried air; A drying installation with mobile aerating bins. 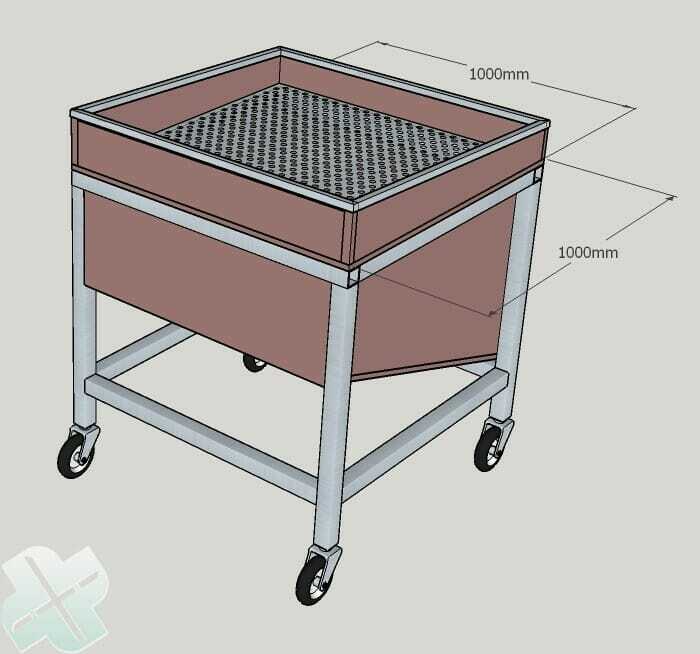 Together with these mobile aerating bins suits a drying installation which brings the product, through drying it with heated and if required also dried air, automatically to the desired moisture content. 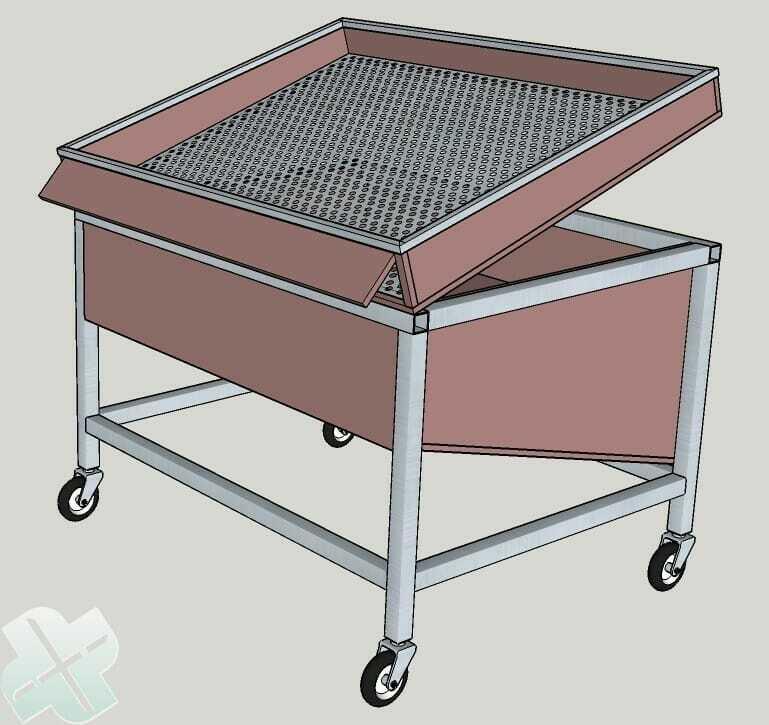 The aerating bin is brought to a drying installation and placed under the hood. 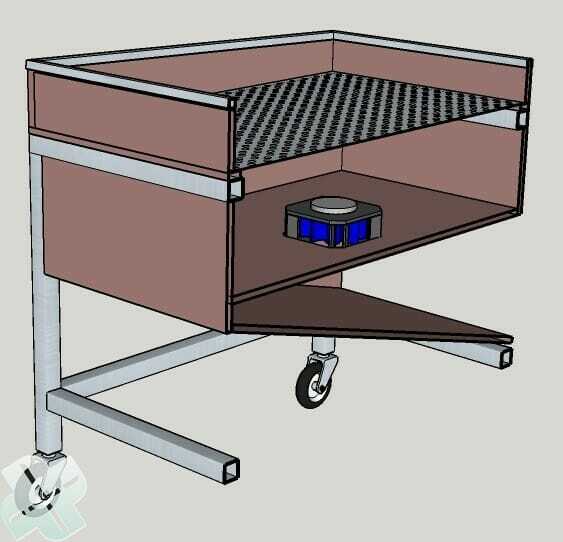 An aerating bin is foreseen from either one or two fans. When finished drying, the bin can easily be cleared. To aerate immediately, the aerating bin can be attached to the electric current (230V). The amount of air can be adjusted by a turn button 0-100%. 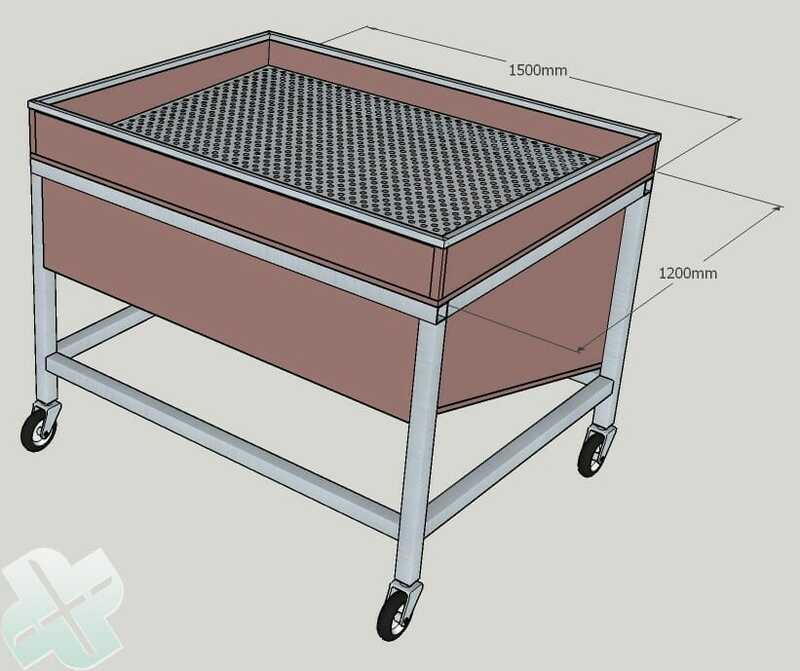 After that, the aerating bin can be attached to the drying installation. The voltage supply and the controlling will take place by the central switchboard, together with the ABC drying processor. The product will be dried automatically. The air will be blown from below the product. At the bottom of the bin, the air will be sucked in through an opening at the back of the bin. This opening at the back of the aerating bin is connected to the air outlet of the drying installation. This outlet is foreseen of a heater. 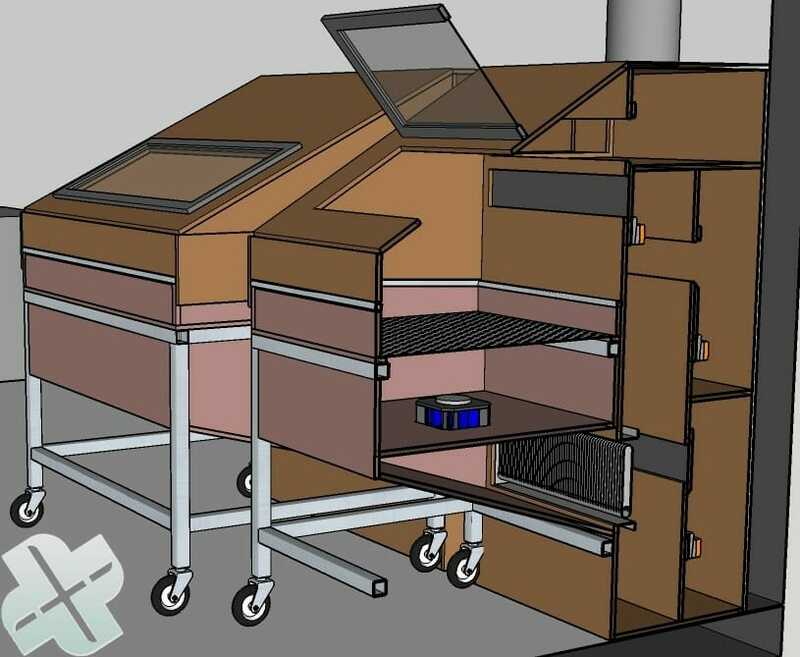 The process air will be brought to the desired temperature in this heater. Through channels and slides, fresh air and/or dried air will be sucked in automatically. Through the hood, moist air will be drained. Dry air can be recycled and used again.